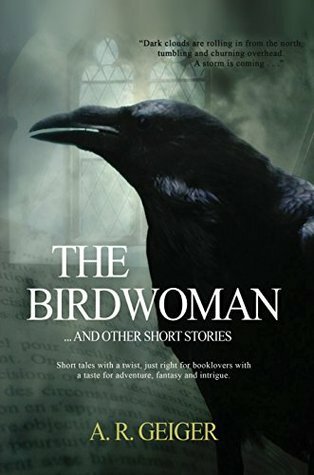 I don’t usually read short stories, though not really for any particular reason, but the two collections I’m reviewing here today make me wonder whether I should more actively seek them out. When I was brand new to Twitter a few short months ago I went on a book-accumulating spree (translation: I followed lots of authors, and every time an author advertised a book as free to download from Amazon I clicked the link and downloaded the book), and these are two of the books I happened to “buy for free,” as Amazon puts it. In any case, they are both worth actually buying. This collection of stories is phenomenal. I was captivated from the very beginning, commenting on my Kindle after the first story, Stowaway, “I want more!” The stories are truly short–several pages, on average–but they pack in a lot of action and emotion. I found myself stopping to make comments on my Kindle like, “raw, reflective and thoughtful;” “beautiful and painful;” and “powerful imagery.” Geiger doesn’t shy away from heavy topics, exploring issues such as mental illness and slavery, from many different viewpoints. Her characters include: a twelve-year-old orphan boy; a hospitalized mentally-ill woman; an African boat captain fighting the slavers kidnapping his people; a young child; and a widowed mother, among others. Geiger’s ability to write convincingly from many varied viewpoints is a true testament to her talent for storytelling. I recently read a review of a short story collection over at Bibliobeth where the reviewer describes short story collections as typically having peaks and troughs, with some stories better than others – not in this case: Geiger’s work is all peaks. So not only do I not usually read short stories, but I also don’t often read science fiction. That said, I’m glad I picked this up. 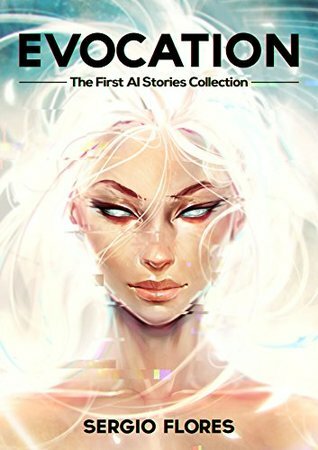 As the title suggests, this is a collection of short stories centered on artificial intelligence. The stories are interesting and thought-provoking, opening my eyes to the importance of the issue. I feel like since reading the book I’ve been seeing references to AI all over the place–there’s even a new show on Nickelodeon about a teenager who’s actually an android which I watched while babysitting a friend’s kids–and I’ve started to pay a little more attention. In reading the stories I was impressed by the author’s ability to write so that someone like me–technologically-challenged–could understand them. I liked how some of the stories share similar settings and seem to follow on from one another as if they are all part of a larger story. What I gained from the book is an overall sense of the power and danger of AI if not properly managed…or, even scarier, that perhaps it can’t be managed at all. If you like books that make you think (like I do), then it’s definitely worth a read, even if it’s not your normal thing! An awesome review for my short story book. Thank you! Thank you so much! I’m so glad you liked my book. It made my night to read this post.